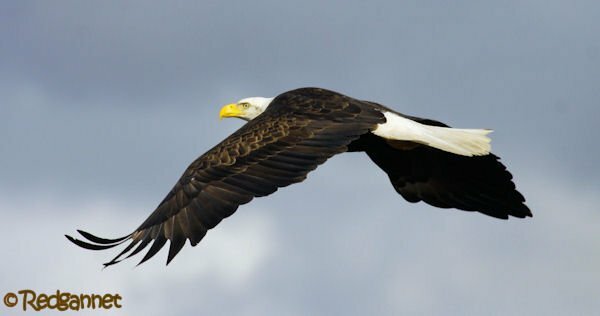 A large concentration of eagles makes for spectacular viewing and I wanted to share my excitement with you after a morning at Boundary Bay to the south of Vancouver in BC. 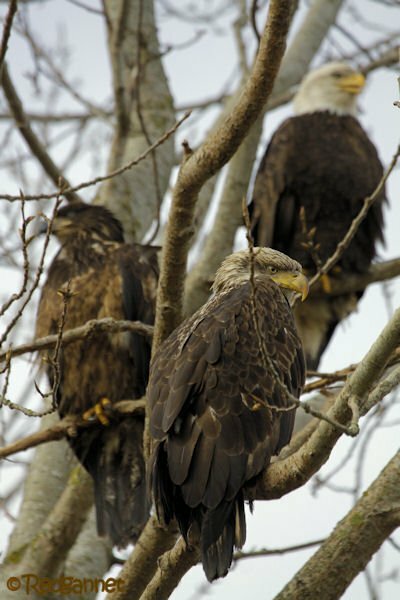 It was an early start and the Bald Eagles were evident before I even alighted from the bus at 96th St. I was already into double figures as the bus pulled up at Matthew’s Interchange. The light was poor to begin with, but sun on the distant snow-frosted mountain peaks of Vancouver Island suggested that it might improve later. Ever impatient, I started taking pictures straight away rather than waiting for the light. 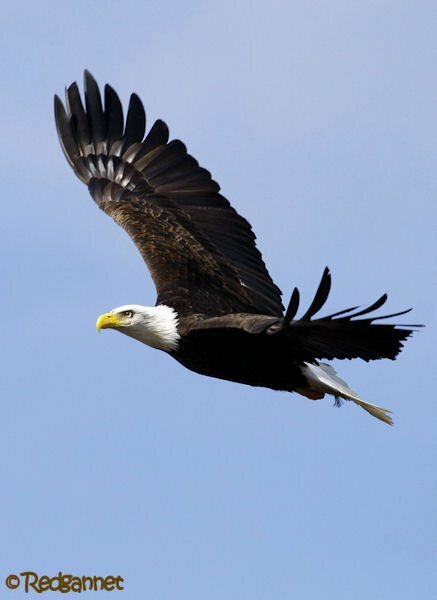 I emerged from the southern end of 96th St. onto the shore of Boundary Bay to be greeted by screeching from five eagles squabbling over a scrap of teal. 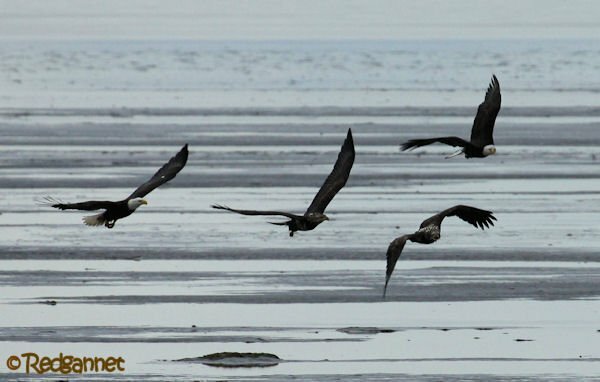 Dozens more eagles were roosting way out on the bay by the low tide line. Boundary Bay is very shallow and the tide goes out a long, long way. Certainly beyond the range at which I am comfortable identifying gulls and shorebirds, though there were many hundreds and thousands of each. 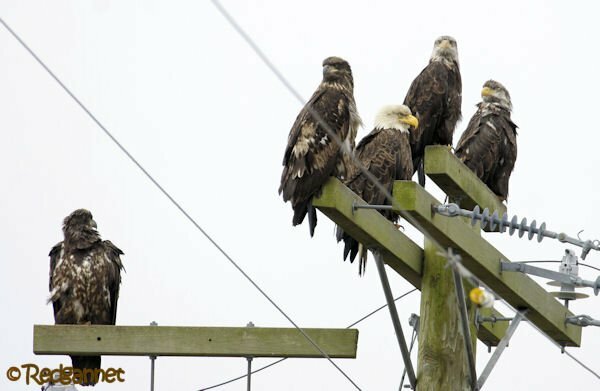 I cycled along the shore trail for about four miles, enjoying so many eagles at close quarters on telegraph poles and in trees. 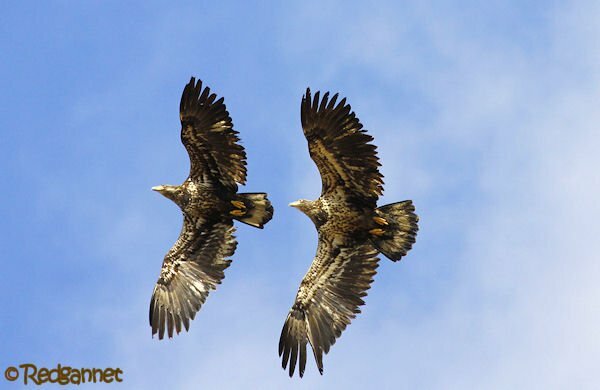 There was a good selection of ages with each of the four years of a young eagle’s journey to maturity represented. There were a couple of highlights. 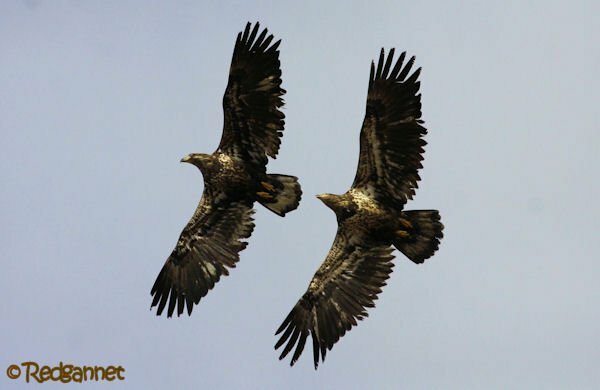 Once the sun came out and the day began to warm, the eagles took to the air in the rising columns. At one point, I scanned around and counted over 80 birds circling in the thermals and 50 more still roosting in groups along the waterline. 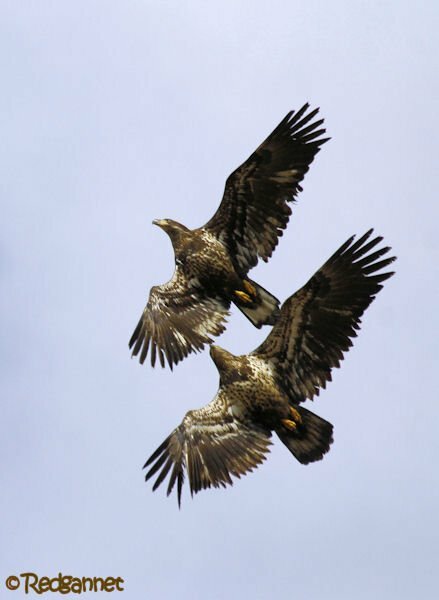 Two young birds put on a breathtaking show of synchronised flying, their wingbeats matching each other stroke for stroke as they chased through the sky above me. What a treat. 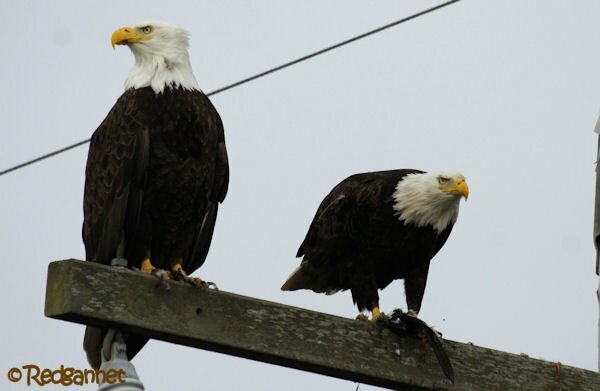 Boundary Bay can be seen close to Vancouver’s international airport at Google Earth ref; 49° 3’47.46″N 122°58’5.55″W and the eagles are reliably to be found there during the winter months from December into March. They can be found there year round, but the numbers are greatest in the cold months. Wow! 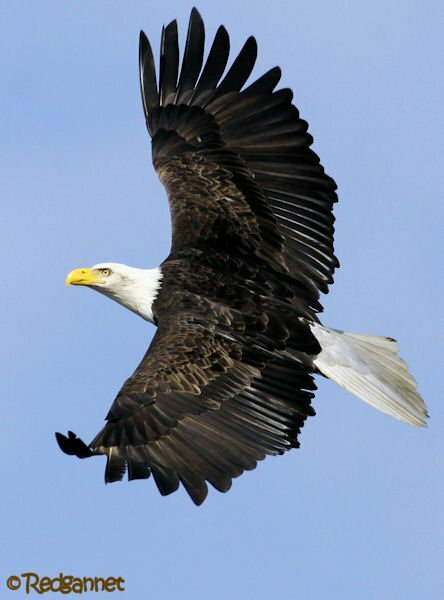 There’s something about a Bald Eagle–I don’t know if it’s status as the national bird of the U.S. or its innate majesty–that makes even one make you go, “Ohhhhhh.” In this case, it’s a huge O of wonder and then a grin of delight. Great photos, as always. Where Are You Birding This First Weekend of 2019? Where Are You Birding This Second Weekend of September 2013?